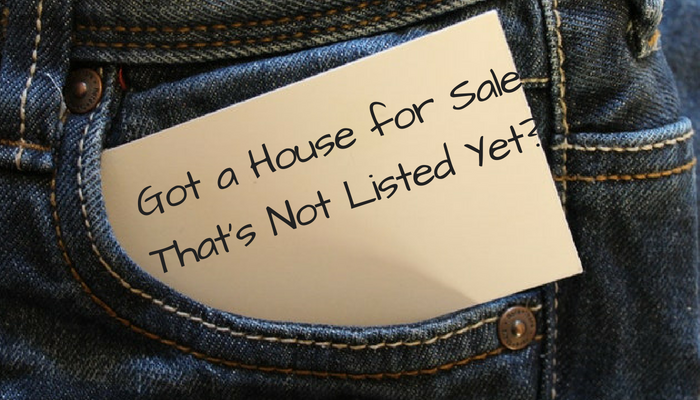 Being the first one on a new listing is exciting but finding those homes can be a little tricky. As an experienced real estate agent in the Palm Desert area, I love to be one of the first people to introduce my buyers to a new listing, but it does come with a little bit of investigation. Here are four ways to find out that home is about to be listed. Drive through your preferred neighborhood and see if anyone's painting the houses, fixing up the yard, or doing some home improvements. A lot of times homeowners will complete a lot of projects in the house before listing. You might be able to find some good information right off the bat either from workers or the homeowner themselves. Look for a rundown house. On the other side of that coin, looking for a house that may have the been lived in a while, need some major landscaping, or is in need of repair. A lot of times these are short sales or foreclosures were no one even lives there anymore, and were just waiting for the bank to list the property. Having your real estate agent check into this is one of the first ways to be one of the first in the home. Look for notices of default. If you drive through a neighborhood and find notices attached to the front door, it's often assigned that the property is probably going under pre-foreclosure. Although there's no list that aggregates listings of homes subject to a notice of default, it can be common to find similar properties by looking for these notices. Using a real estate agent that is well-versed in finding these types of "pocket listings" or other soon to be foreclosed upon properties is essential to being one of the first in a house. Good real estate agents reach out to other agents to see if there's a hidden gem common on the market. An experienced agent usually have a wealth of knowledge as well as community that they've built up that allows them to communicate with other agents about the possibility of potential listings. Some real estate websites even have a "coming soon" search feature which allows you to check out homes that have not been posted as a listing but our public knowledge to have a notice of default or other issues such as nonpayment of mortgages. These might be a great way to source listings that haven't hit the market yet. But again, one of the best ways is to have a real estate agent that is working hard for you and your goals. That's exactly what I can do for you. If you want to be the first to know about a listing throughout the Palm Desert, La Quinta, Indio, or Palm Springs area, give me a call today. Let's be the first one in the new listing.